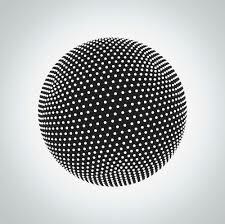 Complex and yet beautiful, Tesseract's style of prog metal is borderline perfect. The band recently employed new vocalist, Ashe O' Hara. They've done away with cookie monster death growls, sticking instead to clean vocals. Ashe is definitely the right pick. His high register voice perfectly compliments the low, bassy guitars and there is so much spine-tingling raw emotion in his delivery that I nearly slipped a disc just listening to it. Instrumentally, the album is well balanced. Groovy, heavily distorted, djent riffs merge with ambient, sustain-driven guitar passages, all played to odd time signatures. Transitions between riffs and rhythms are smooth and barely noticeable due to excellent song structuring. Everything on this album feels as if its in the right place. Even the two saxophone solos feel appropriate. Last year, fellow djent band, Periphery, endeavoured to achieve a sound like this with their album Periphery II: This Time It's Personal and although I loved that album, this record is on another level. It wouldn't surprise me if this was the future of progressive metal. Their style of gentle djent, that soon may be grossly labelled djentle, is both extremely accessible and technically impressive, making it good all round.